Lodge Manufacturing fires up bigger foundry in Marion County, Tenn.
Lodge Manufacturing Co. last month completed its largest expansion in the company's 122-year history with the startup of the new 127,000-square-foot foundry on Third Street near the company's existing foundry in South Pittsburg. The first pour of molten metal for Lodge cast iron cookware occurred last month at the company's new foundry on 3rd Street in South Pittsburg, Tenn.
Workers at America's biggest cast iron cookware maker have begun pouring metal at the company's new iron foundry, completing a $90 million expansion that has helped to more than double production capacity in less than three years. Lodge Manufacturing Co. last month completed its largest expansion in the company's 122-year history with the startup of the new 127,000-square-foot foundry on Third Street near the company's existing foundry in South Pittsburg. The new foundry opened just five months after Lodge completed construction of its 212,000-square-foot distribution center in New Hope — the largest building ever erected in Marion County. 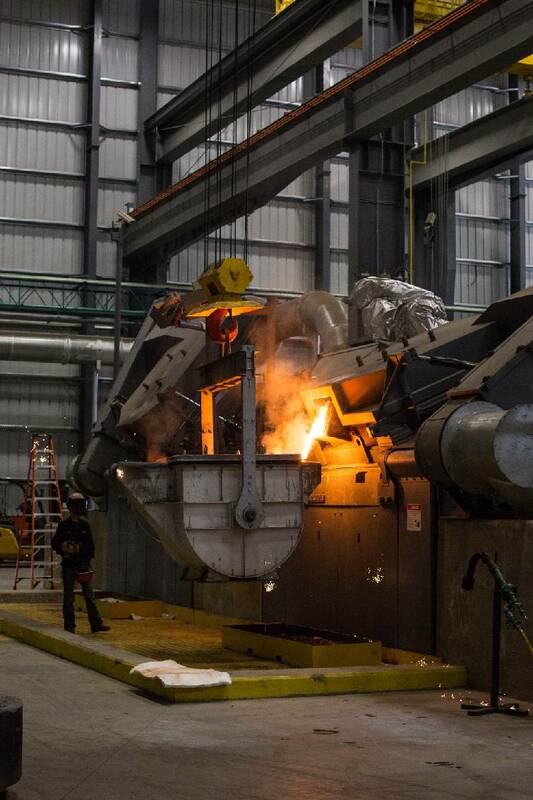 The new Lodge foundry includes a melt center with two induction furnaces, a sand system, and two sand molding machines that will increase the company's production capacity by 75 percent. Prior to the completion of the new Third Street Foundry, Lodge produced between 1,600 and 8,000 pieces of cast iron cookware an hour in its Sixth Street Foundry, which was expanded in 2015. 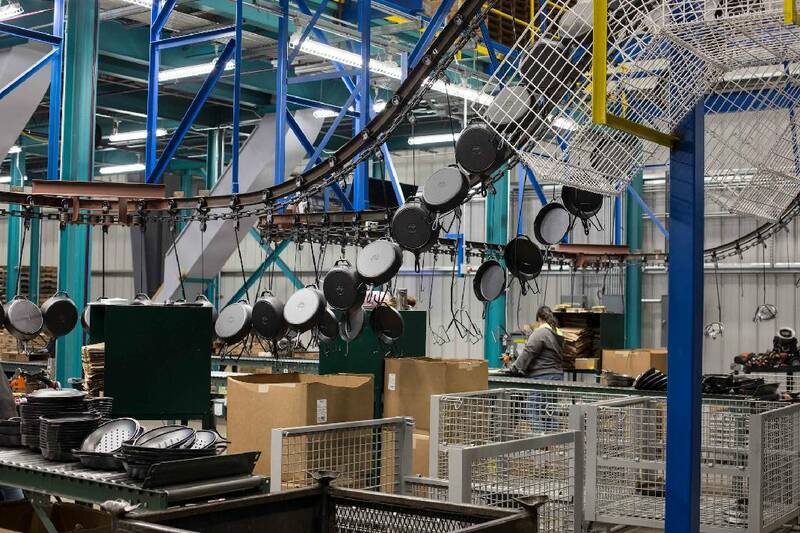 Mark Kelly, public relations manager for Lodge, said the expansions have been necessary to keep pace with the growing global demand for cast iron cookware and the company's iconic line of skillets, Dutch ovens, camp Dutch ovens, grill pans, griddles, reversible griddles and serving pieces. 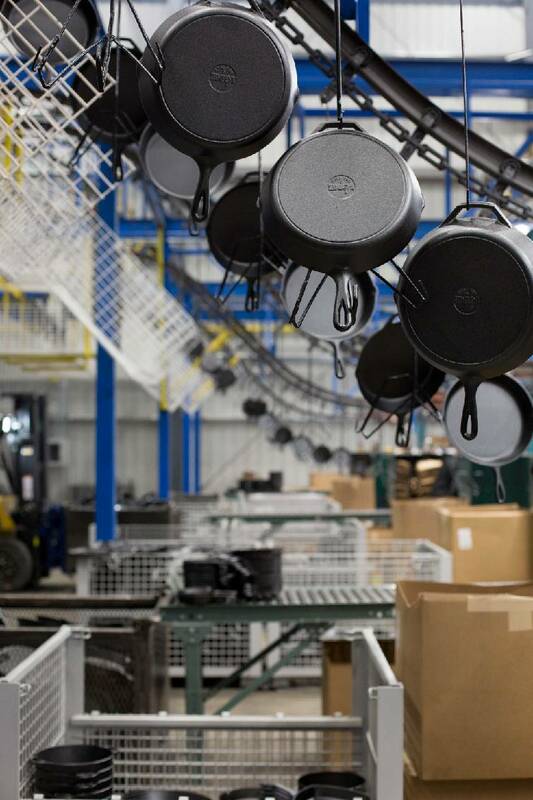 Lodge has doubled its staff over the past six years to nearly 400 employees and remains as the oldest and largest cast iron cookware maker in America. "We made the pour from our new foundry on Nov. 20 and, while we continue to calibrate the new equipment and gear up operations, we're still able to process cookware in the Sixth Street facility for seasoning, finishing and packing," Kelly said. "But we're up and running in our new facility now and eager to have the additional capacity for both our current product line and for new additions in the future." Lodge Manufacturing Co. cast iron skillets are shown. The updated equipment and streamlined process will also speed production, Kelly said. Since Lodge Cast Iron's introduction of foundry- seasoned cast iron cookware in 2002, the company has experienced continued growth in sales around the globe. "We've had an outstanding year in 2017 and it just keeps growing," Kelly said. The company's product assortment includes enamel-coated cast iron cookware, seasoned carbon steel skillets and griddles, cooking accessories and cookbooks. Founded in 1896 by Joseph Lodge, Lodge is the oldest family-owned cookware company in the U.S. Two descendants of Joseph Lodge serve on the company's management team.